VANCOUVER, CANADA - Kaizen Discovery Inc. (KZD-TSXV) today announced details of its planned 2014 exploration programs for the joint venture Fairholme copper and gold project in Australia and for Kaizen's 100%-owned Ebende PGE, nickel and copper project in the Democratic Republic of Congo. These planned exploration programs will include Kaizen's deployment of High Power Exploration's (HPX) proprietary, geophysical technologies on both projects. HPX's technologies have been developed to facilitate rapid and deep electrical geophysical exploration in areas that have proved difficult to evaluate using conventional induced polarization (IP) systems. The Ebende project is characterized by highly resistive cover, and the Fairholme project is characterized by highly conductive lake sediment overburden, each of which hinders traditional electrical surveys. HPX TechCo, a subsidiary of High Power Exploration, is the majority shareholder of Kaizen. A description of HPX's unique geophysical technologies is available at www.kaizendiscovery.com/s/technology.asp. Under the terms of a January 2014 agreement with ITOCHU of Japan, ITOCHU has the opportunity to participate in each of the Fairholme and Ebende projects. Discussions with ITOCHU about project-level participation are ongoing. ITOCHU is one of the leading Japanese trading corporations, with approximately 130 bases in 66 countries, and is a shareholder of Kaizen. 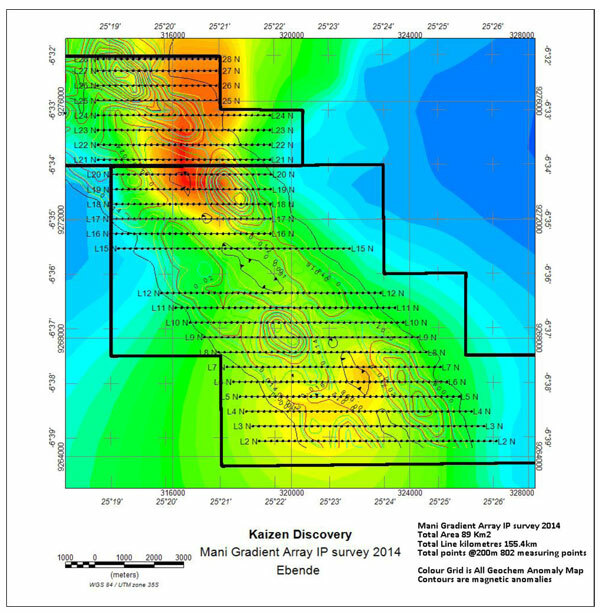 Kaizen and its joint-venture partner, Clancy Exploration, plan to continue their geophysical program, which will include an airborne magnetic survey over the entire property and a 3D IP survey to follow-up on gradient-array IP anomalies defined in 2013. The geophysical program will be followed by a drilling program to test the prospects. The detailed 3D IP survey will cover a 33-square-kilometre area encompassing the Boundary, Dungarvan and Gateway prospects. The work program is planned to commence in June 2014. Past IP surveys were inhibited by the thick, conductive, clay-bearing sediments which cover the project area. The HPX exploration technologies are designed specifically to function in these environments. Figure 1: Location of Boundary, Dungarvan and Gateway prospects within the Fairholme project area in NSW, Australia. The Boundary, Dungarvan and Gateway prospects are associated with highly anomalous basement copper-gold-molybdenum geochemistry, as well as discrete magnetic anomalies. The mineralization and alteration encountered during historic drilling by Newcrest is thought to be related to a porphyry copper system. The Fairholme Project is located within the Macquarie Arc, which hosts world-class porphyry copper-gold deposits such as Cadia and Northparkes. Kaizen currently holds a 49% interest in the Fairholme Project. Under the terms of its earn-in agreement with Clancy Exploration, Kaizen has the option to earn up to a 95% interest in the project through staged work programs ultimately leading to a feasibility study. Clancy is managing the exploration activities during the earn-in phase. Kaizen's planned exploration program this season will include a gradient-array IP survey, as well as a soil sampling survey. The design of the regional gradient-array survey consists of approximately 155-line kilometres covering a total area of 89 square kilometres. A soil geochemical survey will be conducted along the geophysical survey lines at 200-metre spacings. The surveys will cover an area of the Ebende licences that Kaizen has identified as prospective through the use of historic stream-sediment geochemistry, as well as natural remnant magnetization anomalies. The stream-sediment sampling and regional mapping during the 2013 field season resulted in the confirmation of the historic sampling data as being anomalous along a discrete area within the very large Ebende structure. This 90-square-kilometre area has been named the Mani Prospect. The Ebende Project is 100% owned by Kaizen and covers approximately 5,400 square kilometres in the Kasai Orientale and Katanga provinces of the Democratic Republic of Congo. Kaizen is focusing on nickel-copper and platinum-group elements (PGE) targets along a 130-kilometre northwest to southeast corridor characterized by a distinctive magnetic anomaly known as the Ebende Structure. Anomalous levels of platinum, palladium, nickel, copper, cobalt, chromium and magnesium have been identified through stream-sediment sampling carried out by past exploration programs in the region over parts of the Ebende Structure. The Ebende Structure, located on the margin of the Achaean Congo-Kasai Craton, is related to a thick basalt sequence and apparently was extruded from feeders passing through a carbonate platform. These geological features are comparable to the region in Russia that hosts the giant Norilsk PGE, nickel and copper deposit. Continuing exploration at the Ebende Project aims to identify possible mineralization related to this mafic structure. The Ebende project is characterized by highly resistive lateritic overburden, which requires the use of an IP system effective at injecting current into areas of very high contact resistance. Figure 2: Map of 2014 planned gradient array survey to be conducted by HPX. The scientific and technical information in this release has been reviewed and approved by Barry De Wet, a Qualified Person under the terms of National Instrument 43-101. Mr. De Wet has verified the data disclosed in this news release. Independent NI 43-101 Technical Reports for the Edenbe and Fairholme projects are available at www.kaizendiscovery.com and www.sedar.com. Kaizen is a Canadian technology-focused, mineral exploration company formed in late 2013 through a combination of Concordia Resource Corp. and assets acquired from HPX TechCo Inc., a 100%-owned subsidiary of High Power Exploration Inc. Backed by its collaboration agreement with ITOCHU Corporation of Japan and access to HPX TechCo's proprietary geophysical technology, Kaizen's long-term growth strategy is to work with Japanese partners to identify, explore and develop high-quality mineral projects with potential to produce and deliver minerals to Japan's industrial sector. Kaizen and West Cirque Resources Ltd. (TSXV: WCQ) signed a definitive agreement on April 16, 2014, that would see Kaizen acquire all of West Cirque's common shares in an all-share transaction. West Cirque is a Vancouver-based mineral exploration company with seven highly prospective copper-gold porphyry exploration projects in British Columbia, Canada. Statements in this release that are forward-looking statements are subject to various risks and uncertainties concerning the specific factors disclosed here and elsewhere in the company's periodic filings with Canadian securities regulators. When used in this document, the words such as "will, could, plan, estimate, expect, intend, may, potential, should," and similar expressions, are forward-looking statements. 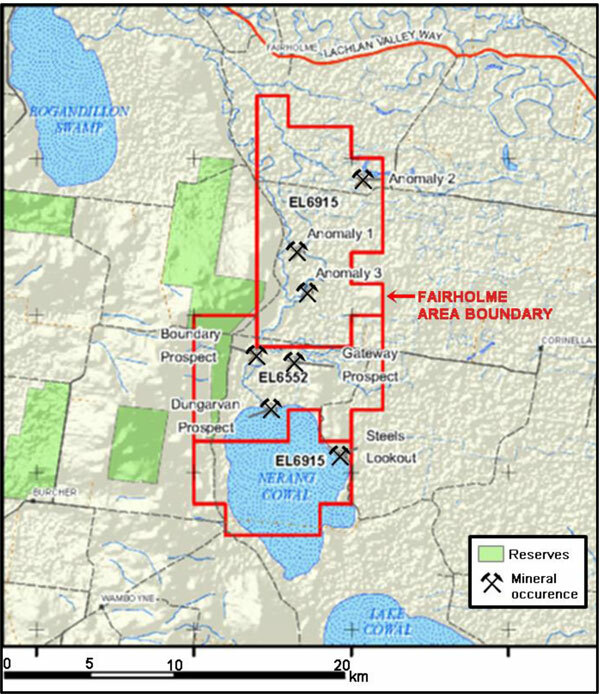 Specific forward-looking statements in this press release include statements concerning Kaizen's deployment of High Power Exploration's (HPX) proprietary, geophysical technologies on the Fairholme and Ebende projects; Kaizen and Clancy's planned Fairholme geophysical and drilling program; and the planned Ebende exploration program.